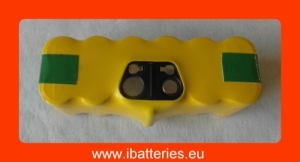 New NiMH battery, replacement battery or extra battery for your iRobot Roomba 500-600-700 serie (e.g.510, 520, 530, 535, 550, 555, 560, 562, 563, 580, 581, 630, 650, 760, 770, 780, etc). 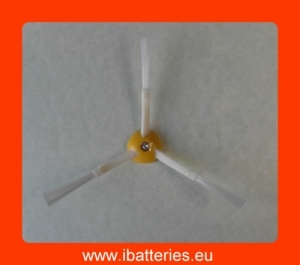 One battery at 32,99 €, two batteries for 59,98 € and three batteries for 82,97 € !!! Easy payment by PayPal or conventional Bank Transfer. These batteries have a capacity of 3500 mAh. This is a slightly higher capacity than the newest batteries of iRobot which have a capacity of 3000 mAh. These batteries are high-quality batteries completely compatible with all iRobot Roomba 500-600-700 series cleaning robots. In summary, buy here batteries with a discount of above 50% ! 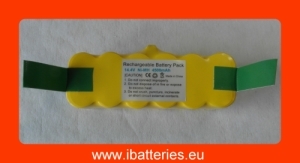 New improved NiMH battery, ideal replacement battery or extra battery for your iRobot Roomba 500 serie (e.g.510, 520, 530, 535, 550, 555, 560, 562, 563, 580, 581, etc) and 600 serie. 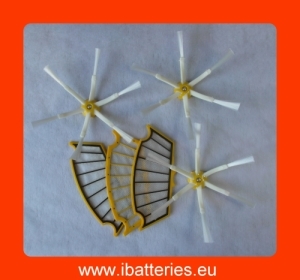 One battery at 43,99 €, two batteries for 81,98 € and three batteries for 116,97€ !!! These improved batteries have a capacity of 4500 mAh. The newest batteries of iRobot have only a capacity of 3000 mAh. The batteries here are roughly 50 % more powerful than the newest battery of iRobot, and your Roomba will run significantly longer, and needs less recharging. 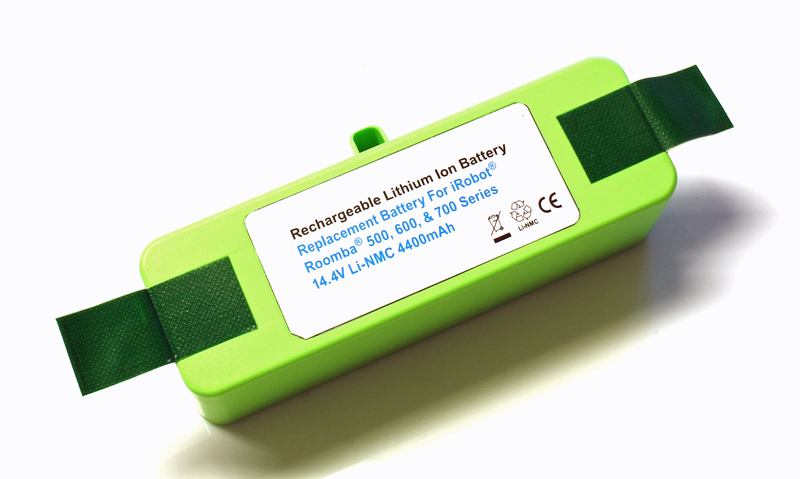 These 4500 mAh batteries are a new development and will be worldwide the most powerful NiMH batteries available for Roomba. These batteries are high-quality batteries completely compatible with all iRobot Roomba 500 series cleaning robots. In summary, buy here batteries with 50% more power at a 40% lower price ! 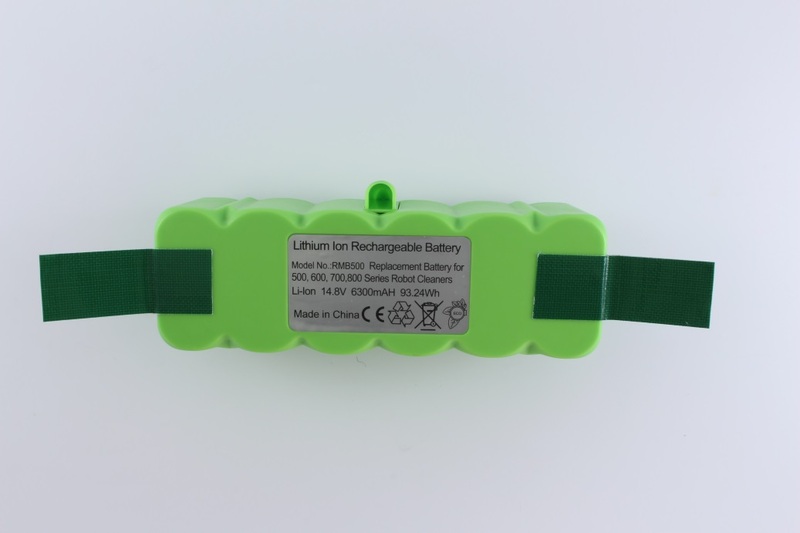 New Lithium ion (Li-ion) battery for your Roomba 500-600-700-800 series (e.g. 510, 520, 530, 535, 550, 555, 560, 562, 563, 580, 581, 630, 650, 760, 770, 780, etc). 100% compatible, no adaptations needed, just insert the battery and your Roomba is ready to go ! 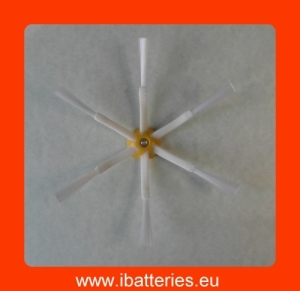 Li-ion batteries have a much longer lifetime (2 to 4 times longer) than standard NiMh batteries. This battery offers by far the best value for money. 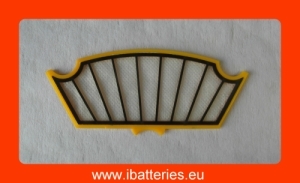 Replacement filters for your Roomba 500 series, for the standard bin. 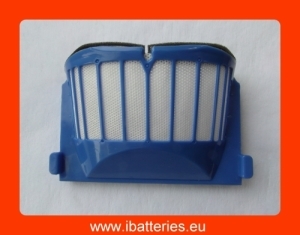 Replacement filter for Aerovac 1 bin. Replacement sidebrush (3-arm) with screw, for Roomba 500-600-700 series. 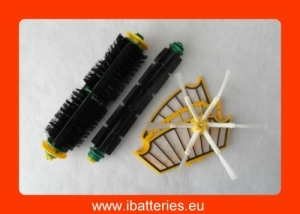 Replacement sidebrush (6-arm) with screw, for Roomba 500-600-700 series.